Bird-watching tourism (tourism aimed at experiencing birds in their natural habitat) is internationally regarded as the fastest growing ecotourism segment. The Western Cape province of South Africa is internationally renowned as a tourist destination � think of the Cape Floral Kingdom, spectacular land- and seascapes, acclaimed wines, whale watching, diversified peoples, the list just goes on. 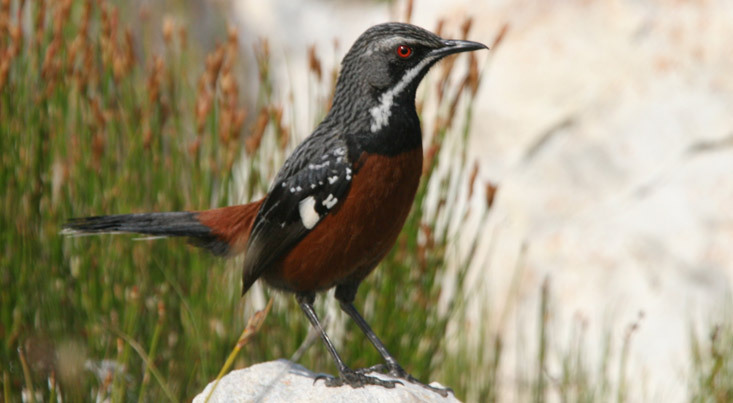 One of the province's great secrets is being marketed through this website: the Cape hosts a diverse range of sought after endemic bird species, such as the Cape Sugarbird, Orange-breasted Sunbird, Victorin's Warbler, Protea Seedeater, African Penguin and many more. Further to this, several underutilized and ecologically varied birding destinations such as De Hoop nature reserve, the Langebaan lagoon, Nature's Valley and the Tsitsikama National Park, the Karoo and Agulhas National Parks and many more need to be properly exposed to a rapidly growing bird-watching fraternity. 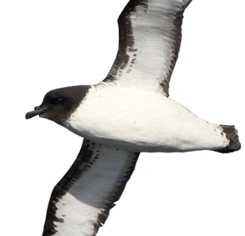 Several exciting birding products already exist: the Cape pelagic birding cruises are regarded as of the best in the world, the African Penguin colonies at the Boulders near Simon's Town and Stony Point at Betty's Bay need no introduction and the migratory waders visiting the Langebaan lagoon are legendary. This website aims to give local, regional and international birders up-to-date information on bird-watching in the province. Six birding routes, largely based on the boundaries of the six District Municipalities in the province are currently being developed for the West Coast, the Overberg, the Winelands, Garden Route and Little Karoo (Eden), the Cape Peninsula and the Great Karoo. Each �birding route� has its own mini website, thus enabling visitors to this website to gain information on the specific area that they are interested in. The surplus generated through advertising over the last year will now be used to launch the site for the greater and Tanqua Karoo. The routes will be developed in a collaborative and participatory manner, utilizing local and regional knowledge and insight. Each birding route will have its own project steering committee and at least 10 local bird guides will be trained and mentored on an on-going basis to service visitors to the route. The local and regional Tourism associations will be relied on heavily and resource material such as websites, brochures, checklists and posters will be developed with the particular circumstances of each birding route in mind. Basic uniform design features will be applied to the resource material though to facilitate meaningful continuity on Provincial and National levels. The �News� section of the website describes the latest developments concerning birds and birding in the province and it is attempted to keep the information updated on a daily basis. Emphasis is placed on top bird-watching destinations and regular trip reports by experienced bird-watchers and tour guides illustrate how visitors can utilize available information when visiting birding destinations in the province and sometimes even further afield. Sightings of rare, vagrant and interesting birds are also reported on and this forms a continual historical overview. Photo galleries are updated regularly, thus illustrating the phenomenal birding potential of the province. The �Events� section of the website describes upcoming events on local, regional, provincial and sometimes even national and international levels in an attempt to keep birders abreast with the latest �happenings�. The regional focus falls on birding weekends, forthcoming pelagic cruises and the activities of the Western Cape Birding Forum that coordinates provincial birding matters under the auspices of BirdLife South Africa. On local levels the focus largely falls on bird club activities and individual bird clubs can now even start their own mini website � refer to the BirdLife Overberg site under the Overberg section. The �Flight for Birders� course is being used to get interested individuals and groupings involved in birding efforts in the province and details of these events are given on an ongoing basis. This service will enable birders to meaningfully plan their participation in a variety of exciting and stimulating birding events. The conservation of birds and their habitats stands paramount in BirdLife South Africa's approach and therefore the �CONSERVATION� section of this website largely focuses on critical issues within the province. Threats to Important Bird Areas are highlighted on an ongoing basis and here developments at the Langebaan lagoon, Verlorenvlei and Bantamsklip serve as examples. The progress of environmental impact assessment studies is regularly updated in view of giving visitors to the website as comprehensive as possible an overview of the latest developments. Conservation issues facing species or groups of species are also highlighted and recent reporting focused on appeals concerning birds such as Ludwig's Bustard (and several others), Verreaux's Eagle and the African Penguin. Progress on the bird atlasing project, SABAP2, within the province is also reported on regularly. Birder Friendly Establishments, bird guides and tour operators contribute to the website regularly, thus enabling visitors to get an understanding of available services. A variety of advertising opportunities are available and these include advertorials for larger reserves, guest farms and lodges, destination listings for smaller establishments and banner adds for organizations wanting to advertise services. The information generated will be reflected on the national birding routes website www.birdingroutes.co.za The money generated through the advertisements will go towards the upkeep of the website and the further marketing of birds and birding in the Western Cape province.